Hanover, March 30, 2016. 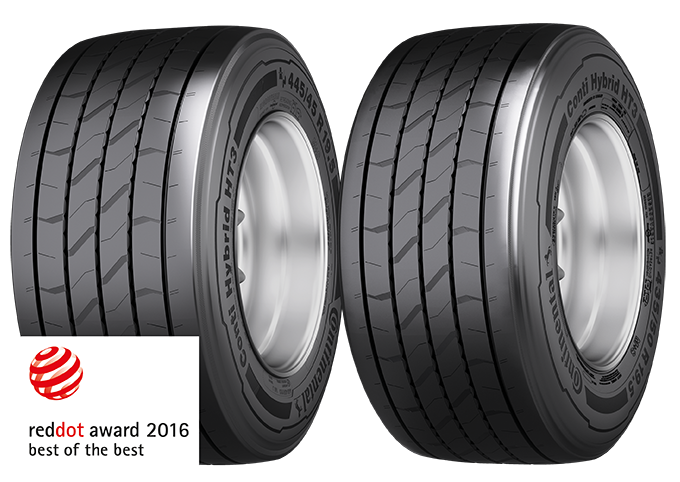 Following its success at the iF Design Awards, the Conti Hybrid HT3 trailer tire has won another award – the renowned "Red Dot: Best of the Best" design award. The international Red Dot jury made the award in the product design category to the low profile tire in sizes 445/45 R 19.5 and 435/50 R 19.5 for incomparable design quality and groundbreaking construction. Continental's premium tire, which was specially developed for use on mega liners, is now one of the most award-winning trailer tires. The Conti Hybrid HT3 445/45 R 19.5 and 435/50 R 19.5 trailer tires make an impression with incomparable design quality and groundbreaking construction. "The Conti Hybrid HT3 445/45 R 19.5 and 435/50 R 19.5 were assessed by an independent expert jury of 41 specialists from around the world for innovation, technical quality, functionality, and environmental impact. The "Red Dot: Best of the Best" award is recognition at the highest level of the trailer tire's excellent product design. 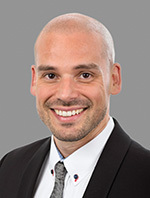 We are delighted that the standards that are always at the heart of our tire development have been specially recognized, and we are just as proud to accept this second award as we were the iF Design Award," said Constantin Batsch, Vice President Business Region Truck Tires EMEA, commenting on the recent award. 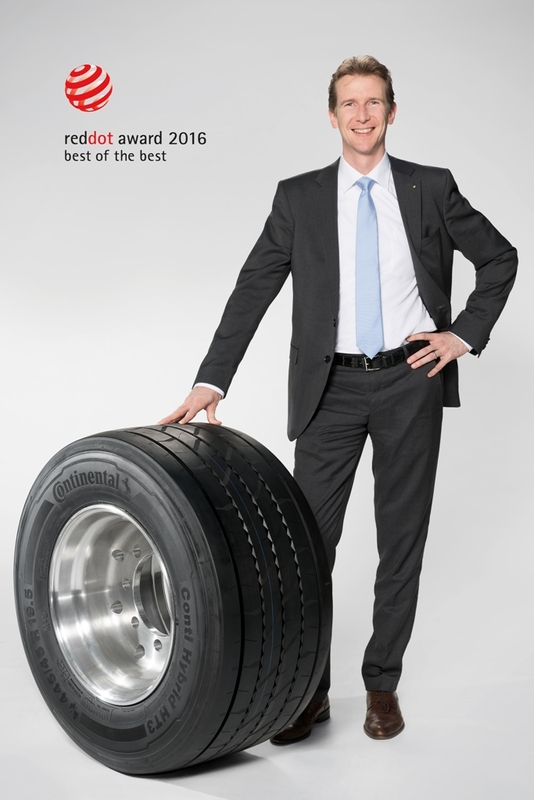 Constantin Batsch, Vice President Business Region Truck Tires EMEA, shows off the Conti Hybrid HT3 445/45 R 19.5 trailer tire, which has won the "Red Dot: Best of the Best" its second design award. Receiving more than 17,000 submissions every year, the Red Dot Design Award is one of the best-known design competitions in the world. The prize is also seen internationally as a recognition at the highest level of outstanding product design and has been run by the Design Zentrum in North Rhine-Westphalia since 1955. As well as being published in the Red Dot Design Yearbook, the award-winning products will also be displayed in the Red Dot Design Museum. Winners will be officially presented with their awards at the Red Dot Gala on July 4, 2016 in the Aalto Theater in Essen. With their award-winning design, Continental's Conti Hybrid HT3 445/45 R 19.5 and 435/50 R 19.5 are high-mileage, fuel-saving trailer tires, which, thanks to their high load capacity at low diameters, find particular use on the semitrailers of mega liners for long-distance transportation. The optimized tire contour of the low profile tire, with its "B"-grade EU fuel efficiency label, produces a uniform wear pattern and high mileage. With its retreadable carcass, the premium tire from Continental makes a valuable contribution to the sustainable and environmentally friendly transportation of goods.